Se estrenó en Manhattan Opera House de New York, el 23 de octubre de 1916. 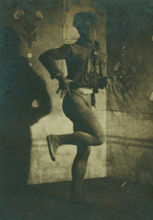 Till Eulenspiegel was created for the American tour. It was a collaboration with the young American designer/architect Robert Edmond Jones, set to a symphonic poem by Richard Strauss. Till is a middle European folk hero who disrupts his town until he is condemned to death, and, like Petrouchka, defies it. 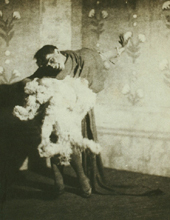 Nijinsky and Jones created a distorted medieval world of grotesque beggars and aristocratic women dwarfed by their costumes.